The Solar Stik 5kW MEP-802A TQG Generator Remote-start Enabling Kit (RsEK) enables fuel-powered generators and the applications they support to operate at the highest level of efficiency possible. 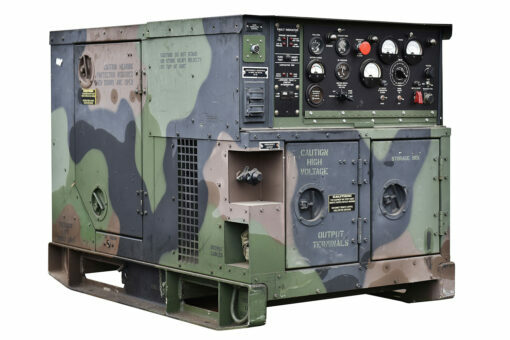 Commercial and military generators have limited power management and distribution options. Typically, a generator that is big enough to support the maximum expected load is plugged into a circuit and made to run full time, consuming fuel even if there is little or no load the majority of the time. Using a generator like this may get the job done, but it is very inefficient. The Solar Stik PRO-Verter serves as an extension of a generator, providing power management, power distribution, and remote control of the generator. 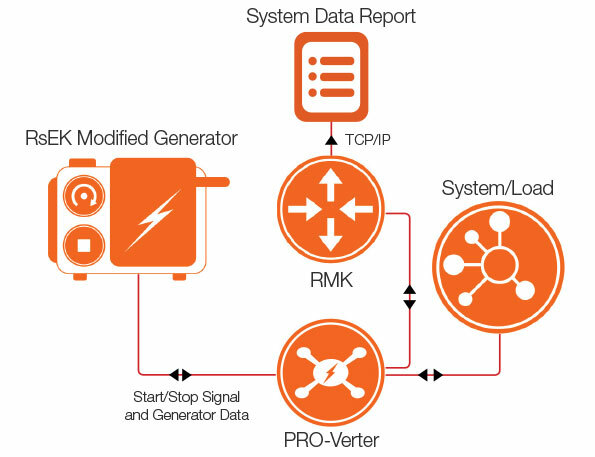 Installation of RsEK on a generator establishes the cooperative link between a generator and a PRO-Verter that has Auto Generator Start (AGS) capability, allowing the PRO-Verter to monitor and control the generator. The RsEK modification also allows the generator to be integrated into a hybrid system where it will run at full capacity (most efficient) as it is charging the battery bank, supporting a load, or doing both simultaneously. Generator runtime can be reduced significantly because power generated in excess of what is required by the load is stored in the batteries for subsequent, independent support of the load. Operational safety of a generator can be enhanced following RsEK modification and integration into a hybrid system because the PRO-Verter monitors generator faults and reports them audibly and visually in real time. The Cable Set with the kit provides the required communication and power links between a generator and a PRO-Verter.